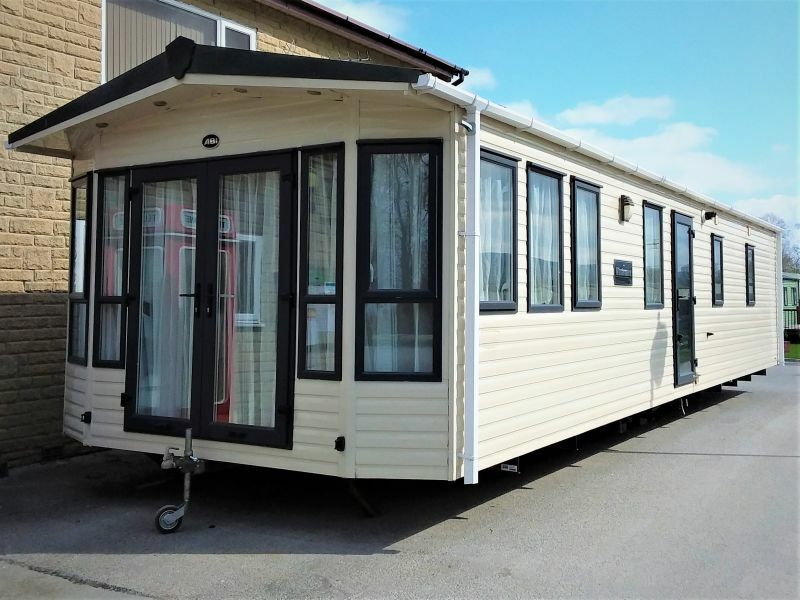 A modern, open plan two bedroomed holiday home with front aspect patio doors providing a picture-perfect view. 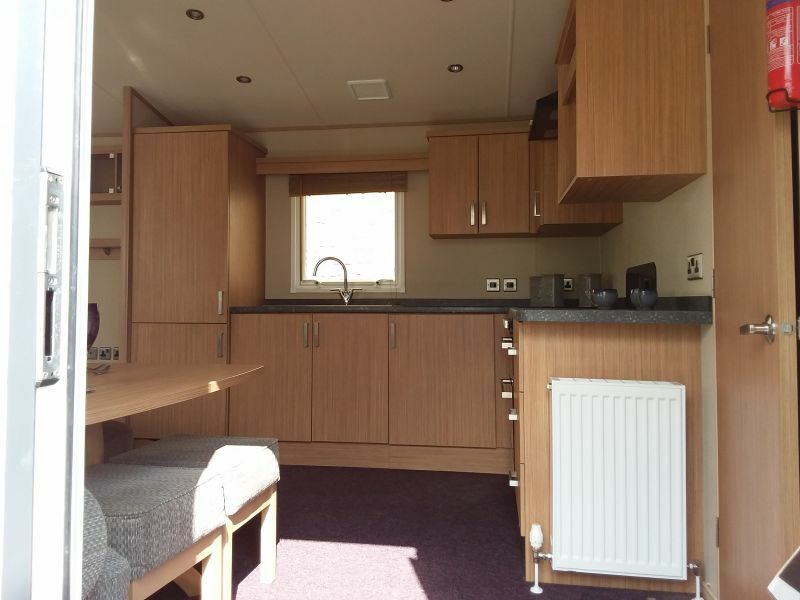 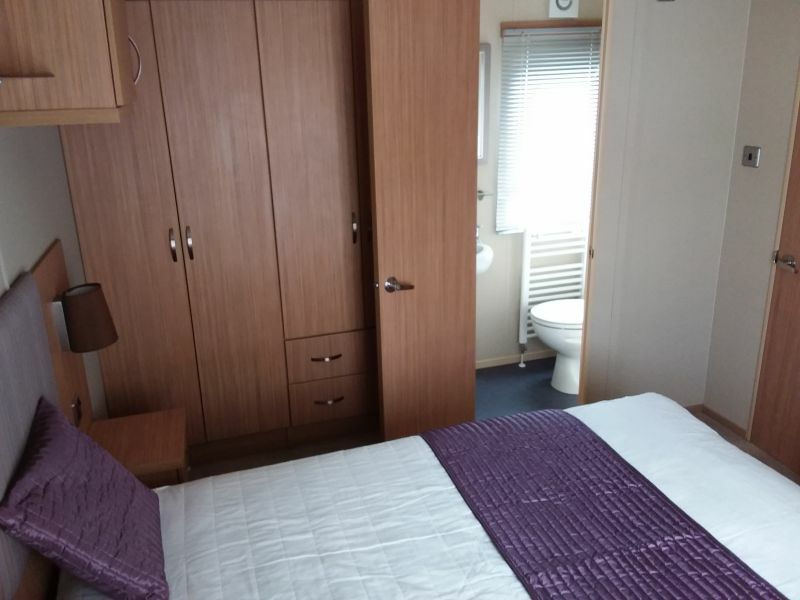 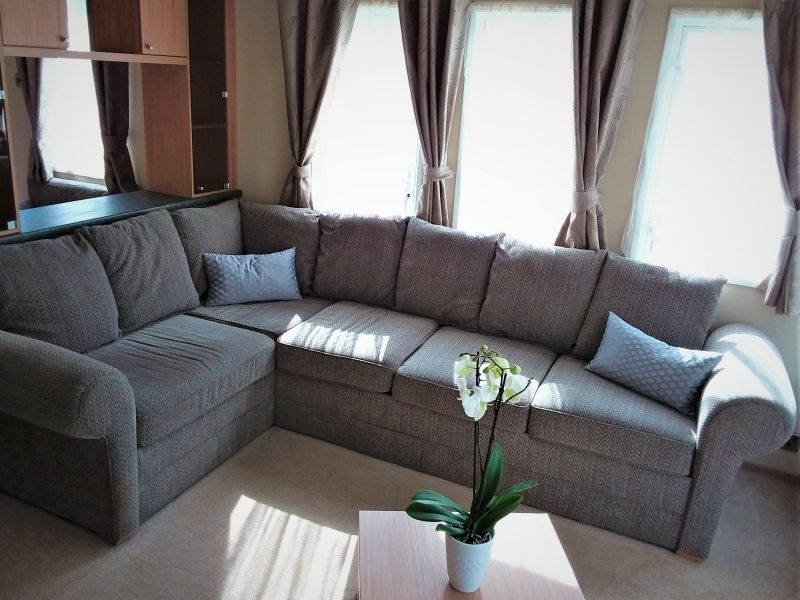 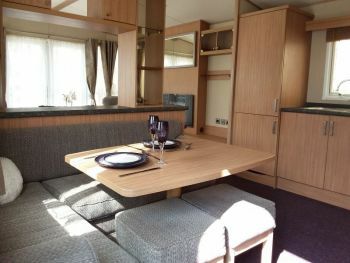 The space in this ABI Windermere is ideally utilised, without taking anything away from its open plan feel. 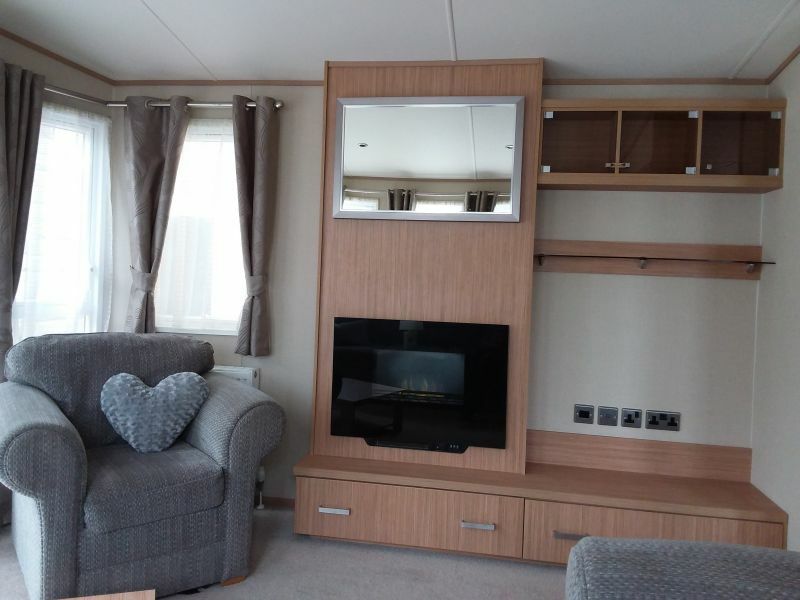 Lounge includes an L-shaped sofa incorporating a pull-out bed for extra sleeping capacity plus armchair, modern electric fire, fitted units and shelving. 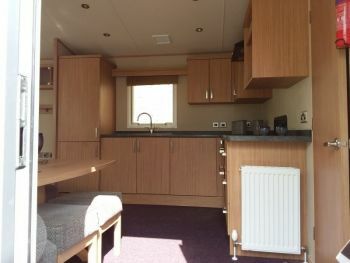 The fixed dinette seating is separate to the lounge but remains very open plan and contemporary adding to the stylish kitchen design, which includes a built-in fridge-freezer, gas oven, hob and extractor. 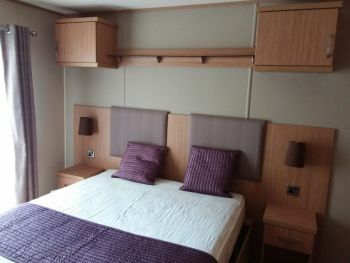 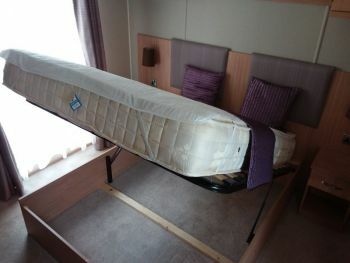 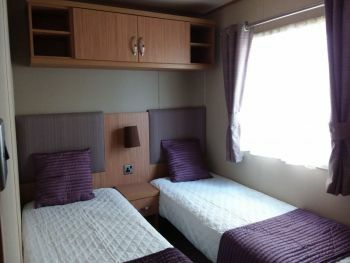 Good sized twin bedroom benefitting from its own wardrobe and overhead storage. The spacious master bedroom is ensuite and boasts a double bed with handy lift up storage along with a wardrobe and again overbed storage. Family bathroom with shower unit, wash basin and WC.